The previous part of this blog showed how to create a personal gateway, but one limitation of this is that only you can refresh your reports. 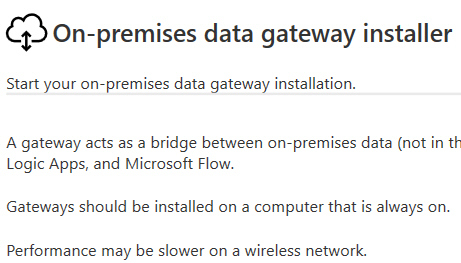 A way round this is to create a standard on-premises data gateway. 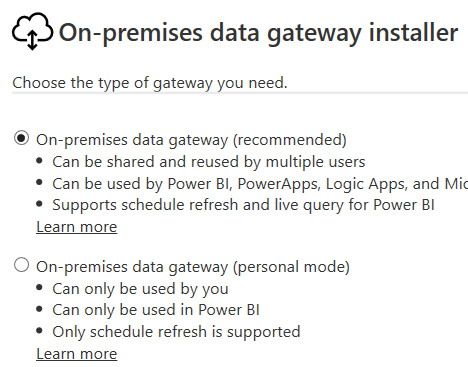 Click on this item in the Downloads menu in Power BI Service. 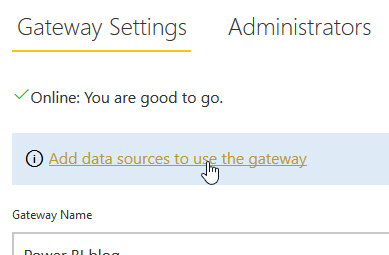 Click on the button to download a gateway! Loyal readers of this blog may be experiencing a bit of deja vu at this point. 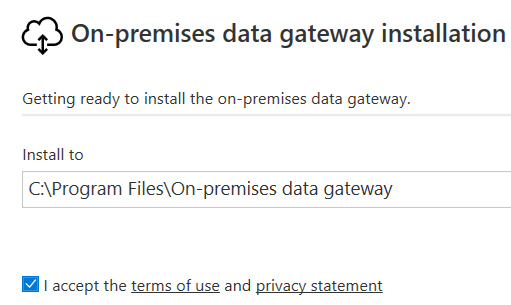 Choose to install the on-premises data gateway for anyone you nominate to use. You'll need to accept Microsoft's terms and conditions, among other obvious steps. Type in the name of an account (you'll need to sign in to it on the next screen). 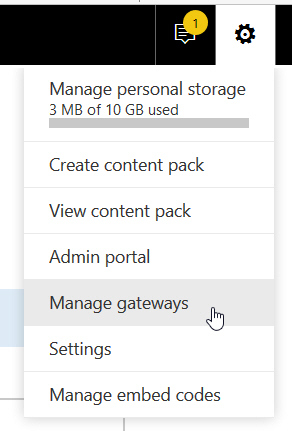 There are various tabs on the left (not shown here) allowing you to see advanced information about this gateway. 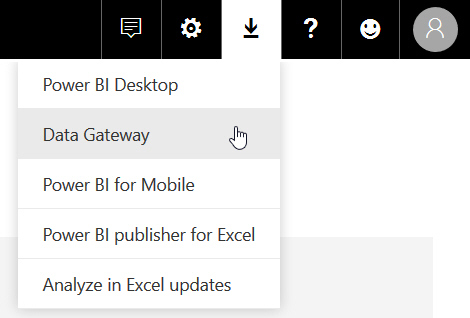 Choose this options from the Settings cog at the top right of Power BI Service. 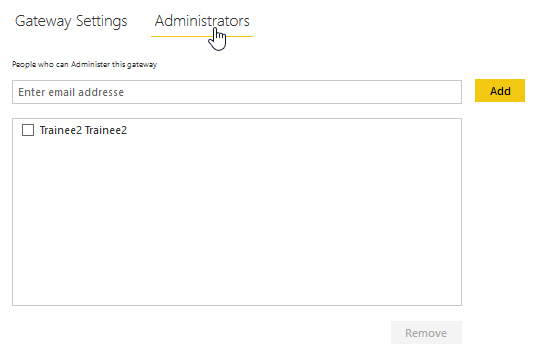 Click on the Administrators tab to create new ones. 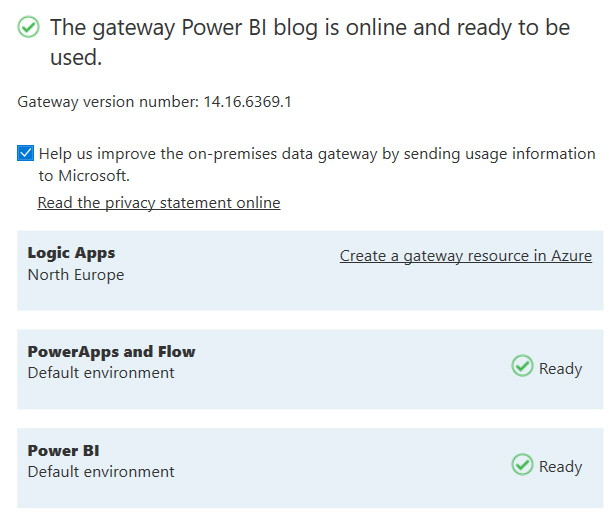 Click to add data sources which can use this gateway. Here I'm creating a connection to the text CSV file containing the list of courses. 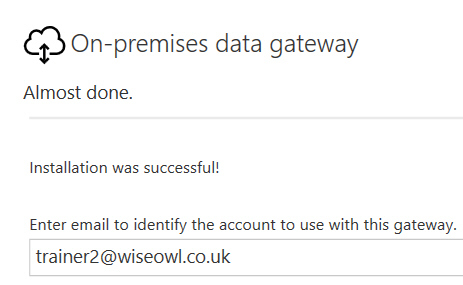 Click on the Users tab when your data source has been successfully assigned to the gateway. 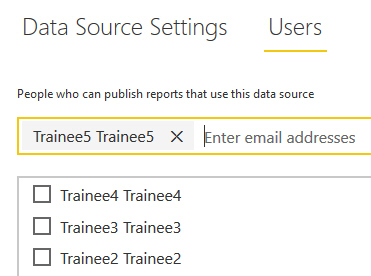 Any of these users should now be able to publish reports using this data source. 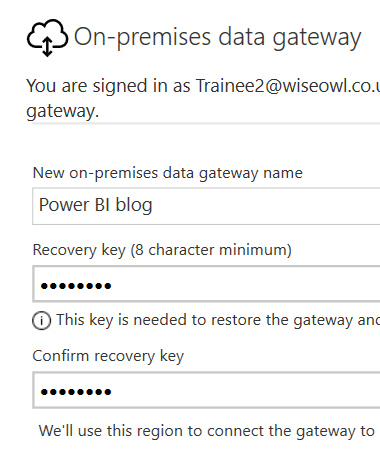 Before I launch into how to refresh reports once you have a gateway set up, I'll just take a brief digression to look at some of the limitations and pre-requisites for the two types of gateway.